WHICH ONE WAS THAT? That one where you sift through the encounter deck looking for a Clue objective called Signs of Gollum. WHERE DOES IT HAPPEN? 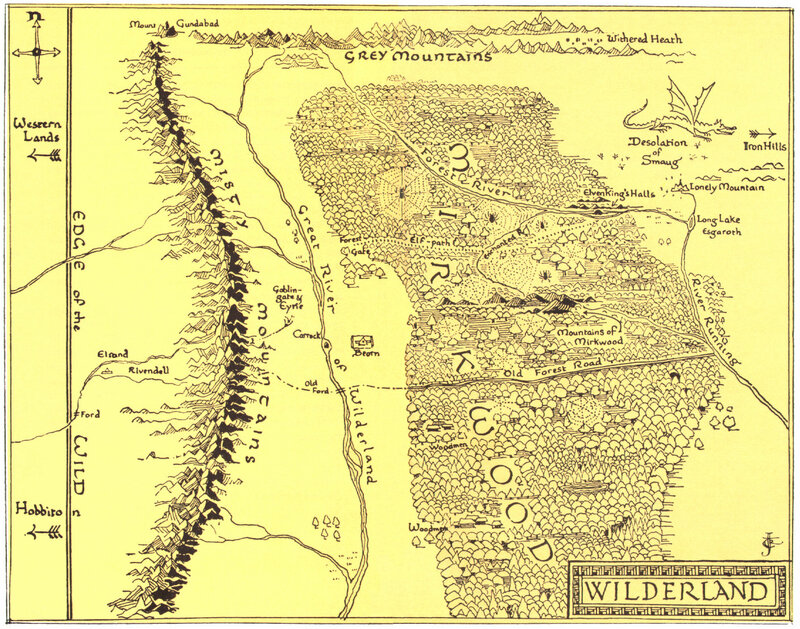 We are skirting western edge of the Taur-e-Ndaedelos or “Forest of Great Fear” also known as Mirkwood. Most of these locations are already quite familiar to us from our adventures in the Core Set. The only difference is that in this quest, zig-zagging back and forth across the region makes excellent thematic sense as we search for the slinking Gollum. Every location in this scenario is located in the Anduin Valley between the Misty Mountains and the western Eaves of Mirkwood, a most appropriate place to find the tracks of the irascible river-dweller. 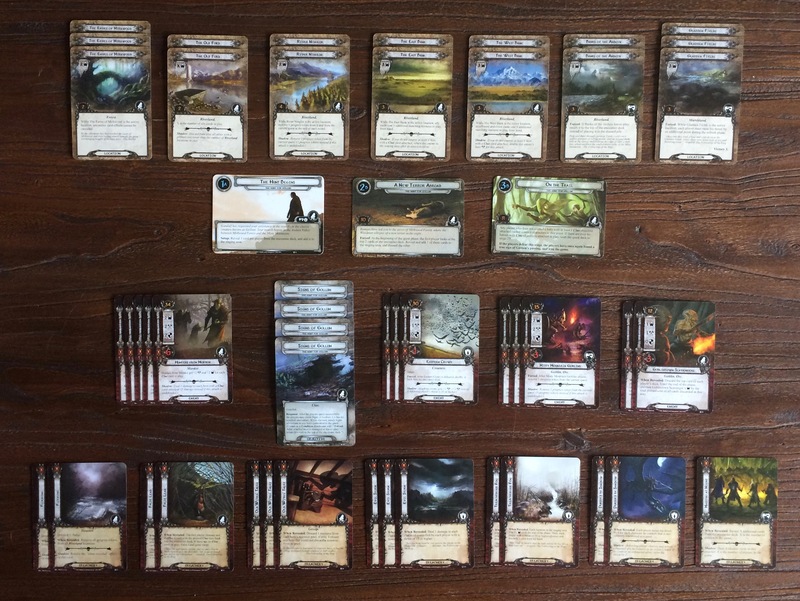 Check out the locations from this scenario placed on the map at Master of Lore’s LOTR LCG Atlas. WHAT HAPPENS? We are working for Gandalf now, tasked with finding “the elusive creature known as Gollum”. We won’t catch up to him in this scenario, but victory in the final quest stage tells us that we have discovered “a true sign of [his] passing”. NOVEL INSPIRATION: For all intents and purposes, the Hunt for Gollum (along with a couple other scenarios in this cycle) could rightly be considered a saga expansion. The story of this quest is lifted straight from the pages of Tolkien’s Lord of the Rings, directly portraying events narrated in Book I Chapter II “Shadow of the Past” and Book II Chapter II “The Council of Elrond”. In fact there are multiple hunts for Gollum in the history of Middle-earth. The first was led by the Wood-elves prior to Bilbo’s birthday party and therefore before the timeframe of our game. Although they followed Signs of Gollum “[t]hrough Mirkwood and back again”, they gave up once the trail “wandered off southward” and was lost. 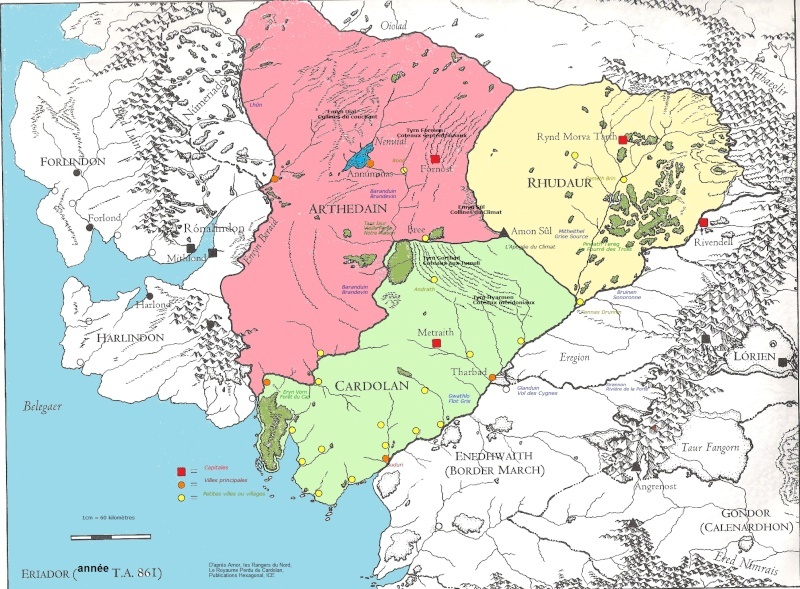 3009 Third Age — Gandalf and Aragorn renew their hunt for Gollum at intervals during the next eight years [emphasis mine], searching in the vales of Anduin, Mirkwood, and Rhovanion to the confines of Mordor. It wouldn’t be until 3017, after 16 years of attempts, that Aragorn finally captured the miserable creature in the Dead Marshes, but that lore will have to wait for later in this cycle! BEST ARTWORK: Isn’t the tableau on the first quest card even more epic considering that Aragorn hunted Gollum for over a decade and a half!? 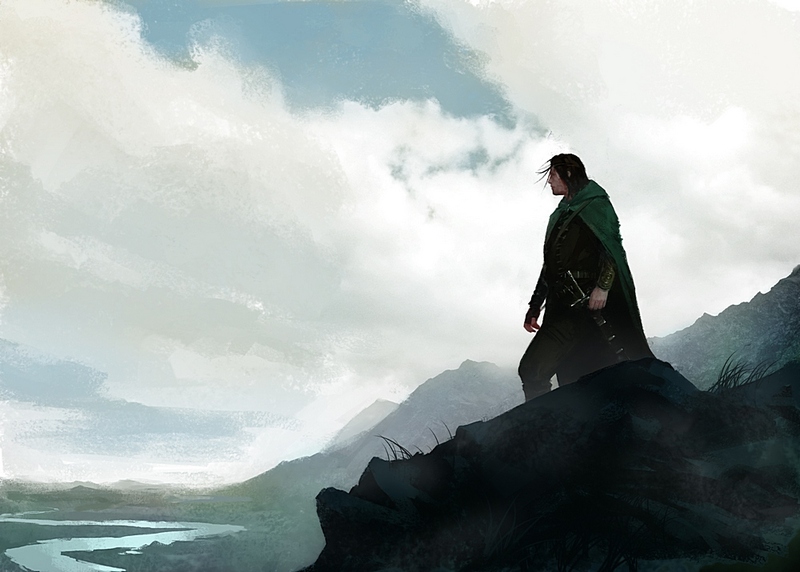 Illustrated by Polish artist Igor Kierlyuk, The Hunt Begins depicts the Heir of Isildur standing alone on an outcropping of the Misty Mountains gazing eastward across the Anduin Valley in grim determination. [M]y search would have been in vain, but for the help that I had from a friend: Aragorn, the greatest traveller and huntsman of this age of the world. MY OWN WORST ENEMY: With only four different enemies in this quest, it’s not difficult to spot the chief villain. The artwork on the front of the packaging gives us a clue as well. Know also, my friends, that I learned more yet from Gollum. He was loth to speak and his tale was unclear, but it is beyond all doubt that he went to Mordor, and there all that he knew was forced from him. Thus the Enemy knows now that the One is found, that it was long in the Shire; and since his servants have pursued it almost to our door, he soon will know, already he may know, even as I speak, that we have it here. While an Orc is featured most prominently in the artwork, the Black Rider in the background and presence of the generic Mordor trait on the card would lead us to believe that the “servants” spoken of by Gandalf are included in this motley band of Hunters as well. Nazgûl are on the loose! Receiving boosts in threat and strength whenever they get a whiff of Gollum’s trail, the Hunters from Mordor need to be handled quickly, lest they pose certain doom to our search party. With two or three Clue objectives in play, these Hunters can get beefy quick! MUST CANCEL TREACHERY: None of the treacheries in this scenario are a proper game-ender, but all of them will slow you down and turn the quest into a slog-fest. Perhaps the chief culprit in that regard is False Lead which, if able to shuffle away your only Clue on Stage 3B, can reset the quest deck to 2B! The frying pan is a dead giveaway that we are on the wrong track. Spoiling nice fish! The wood was full of the rumour of [Gollum], dreadful tales even among beasts and birds. The Woodmen said that there was some new terror abroad, a ghost that drank blood. It climbed trees to find nests; it crept into holes to find the young; it slipped through windows to find cradles. This is a fun and nasty card (and arguably much more of a “must cancel” than False Lead). I love the title, text, art, and especially the trait. I wish that the designers had brought back the Gossip trait for our latest healing ally, Ioreth, who is literally called an “old wife” in the text of Return of the King and has the tales to prove it! 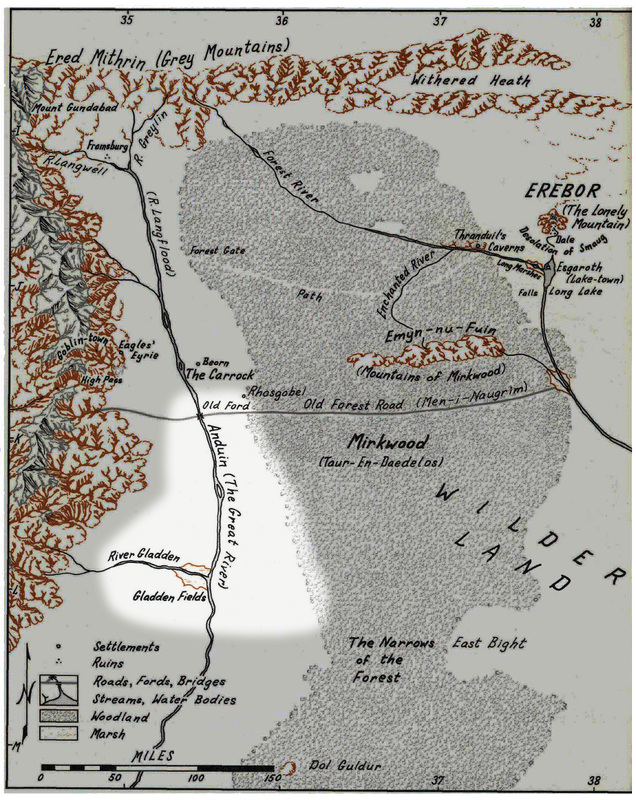 MOST OBSCURE LORE: Despite appearing on his “Map of Wilderland” in The Hobbit back in 1937, the Old Ford is not mentioned anywhere in the works published during J.R.R. Tolkien’s lifetime. The only hint we get to the history of the Old Ford is found buried in a footnote of the Unfinished Tales “Disaster of the Fields” published in 1980. Here we learn that the Old Forest Road “crossed the Anduin by a bridge (that had been enlarged and strengthened for the passage of the armies of the Alliance)” referring to the Last Alliance of Elves and Men which fought Sauron at the end of the Second Age. According to the same footnote, by the time of The Hobbit, “there is no mention of there having once been a bridge at the crossing”. Clearly this has guided our game’s design as the card’s artwork shows only the remnants of a bridge and poses a high threat to a company of many allies! I am fascinated by the Old Forest Road and this particular footnote which you can read more about in my feature article. DECK-BUILDING TIPS: No special build is likely needed here. If you are able to quest hard, you may be able to pick up the Signs of Gollum before any Hunters come out, though you better have a strategy in case they do. Heavy combat isn’t needed, but with a number of low threat enemies, you will probably get pesky Orcs coming down on engagement checks which can be problematic if you’re going all in for questing. One solid defender with an army of questing characters or a Feint in hand in case an a Nazgûl picks up your trail isn’t a bad idea. For a full surgical dissection of strategy, check out Ian’s encounter deck review at Tales from the Cards. MY MOST MEMORABLE PLAYTHROUGH: My guess is that this adventure has a very high nostalgia factor for most players, maybe the highest. For me, it was about a year after I got my Core Set that I decided that I was going to go all in with the game and picked up this pack. I have fond memories of playing The Hunt for Gollum with my brother over Christmas of 2012, sitting on the floor of his apartment over piles of cards like we were little kids again. We were still learning the rules, but through frequent consultations with Kirk Bauer’s Comprehensive Card Reference (an absolutely invaluable resource in those early days!) and the BoardGameGeek forum we figured it out. I don’t remember whether we ever won, just that I had a great time with my little brother! Christmas 2012. We don’t have any photos of our games, but at least my brother wore his best T-shirt for the occasion! This week, I played a solo game on OCTGN just to remember the mechanics and cards before writing this article. Everything was going along smoothly until three consecutive Signs of Gollum came up on what should have been my last round. It was like old times. First of all, I had to consult the forums to confirm the rules and, sure enough, all three resolve their Guarded keyword in turn, which brought out a Hunters of Mordor and caused me to threat out. The end. All four Signs of Gollum in play makes the Hunters a 10 threat enemy! • Have I mentioned that I love the Old Forest Road? Learn more about the Old Ford from this scenario in my feature article about Tolkien’s fabled ancient thoroughfare. • Check out Derek’s theme deck called the Heroes of Wilderland which would certainly have home field advantage while searching for Gollum. • Watch Chris Bouchard’s expertly produced fan film The Hunt for Gollum, shot by volunteers with a $5000 budget in England and Wales, “[b]ased faithfully on the appendices”, and intended as “a serious homage to the writing of J.R.R Tolkien and the films of Peter Jackson”. 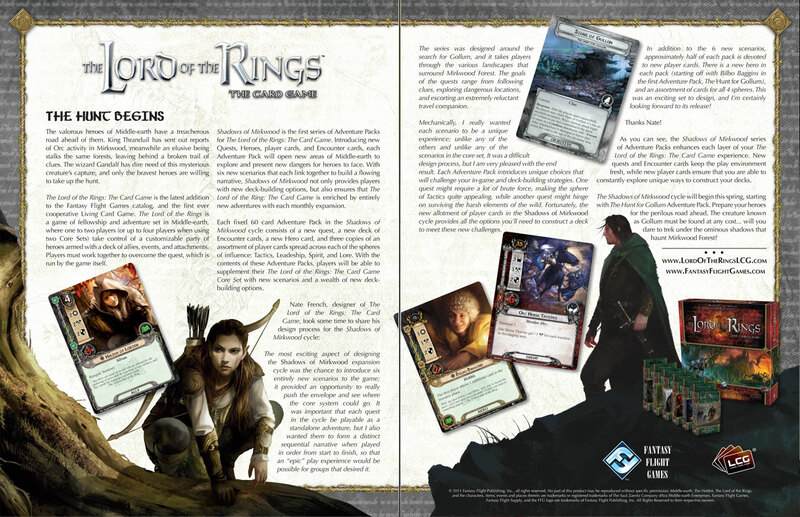 • Check out Peter Wocken‘s one-sheet Hunt for Gollum advertisement for FFG including design notes from Nate French. Just to let you know that I am really enjoying these quest profiles. It’s great to look at those older quests. Thanks INK1ing, I’m glad that you are enjoying them. If you have any tips on other sections that you think would be interesting or fun to include, please let me know! I’m glad to hear that you are enjoying them. Thanks for the encouraging note! Just started playing the Core Set again last weekend and stumbled across this blog. Wonderful stuff! This is going to give me some ideas on treating myself to expansion sets. Great! 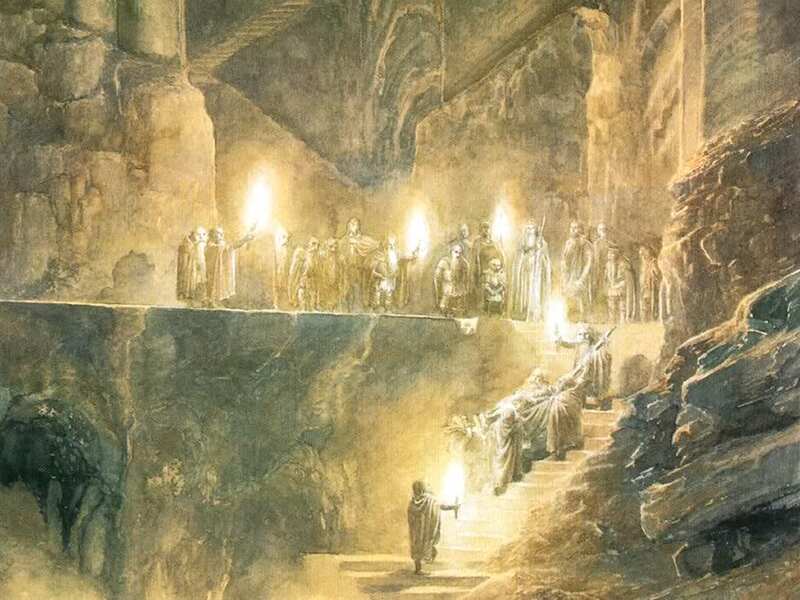 I hope you find plenty of article here to enrich your gameplay and connect you to Tolkien’s themes and lore. There are now plenty of expansions to choose from. Enjoy! 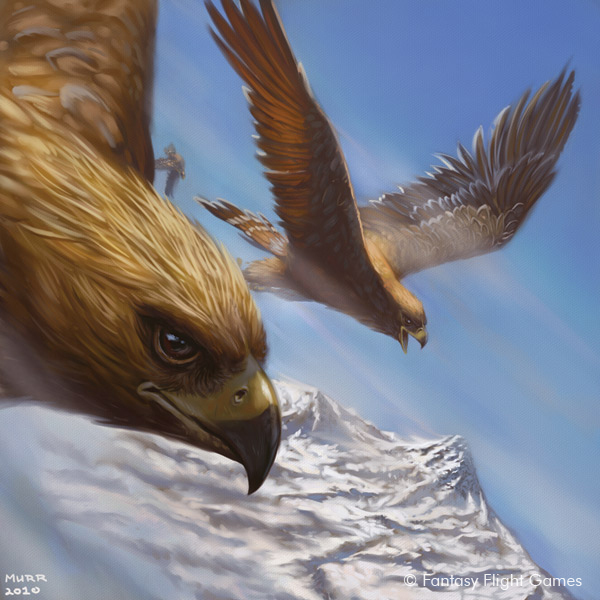 This series is some of the best I’ve seen in any LOTR LCG blog. please keep up the good work! Thanks for the encouragement! Things are busy now but I’m going to try to pick it up again over the holidays. Glad you’re enjoying them!